as a series of big name stars, beautiful voices, larger-than-life personalities, and yes: divas. 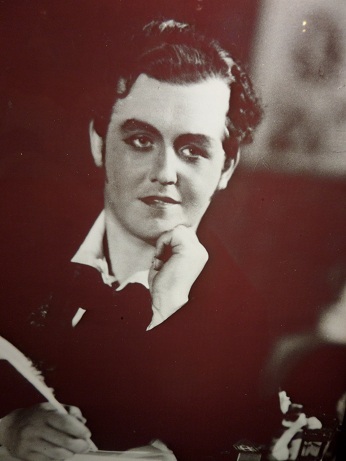 Bjorling 1934 debut in Stockholm was as Rodolfo, the role he played most often. 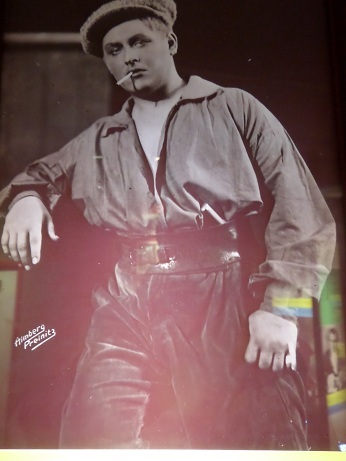 My first opera favourite as a child wasn’t an opera but a singer, a Swedish singer, namely Jussi Björling. Long before I had any inkling of music, musicology or musicianship, well before I began playing the piano (and later accompanying my older brother, who would soon be a professional) I was already listening. I had no idea about the words or the stories or plotlines, although I’d soon be able to name the operas & composers, and even to recognize them. I sympathize with people who are tenor-centric, because that’s how I grew up, in a house with a few complete opera recordings plus a few LPs of arias & ensembles. Björling figured prominently, because he was a favourite in the house. I hadn’t yet seen an opera. My first was sometime around my 11th birthday, a production of Il trovatore by the Canadian Opera Company starring someone whose name I remember as Francisco Lazaro, who had the unenviable job of somehow living up to what I’d heard: Jussi Björling singing “deserto sulla terra”, “ah si ben mio” and “di quella pira”, and I knew every note of those pieces his way. It was impossible of course (for him? for me). I vaguely recall it as a disappointment (or perhaps “heartbreak” would be more accurate). I suppose he was okay, but like I said, it was a bit like asking a boy to do a man’s job. There I was, expecting something resembling what I’d heard on the recordings. I was in a hall with terrible acoustics, but that was one more thing i’d have to learn about. Fast forward to the 21st century. I’ve been visiting family in Stockholm. The connection is deeper than expected. Yes I knew my brother was born here while the family lived in this city. 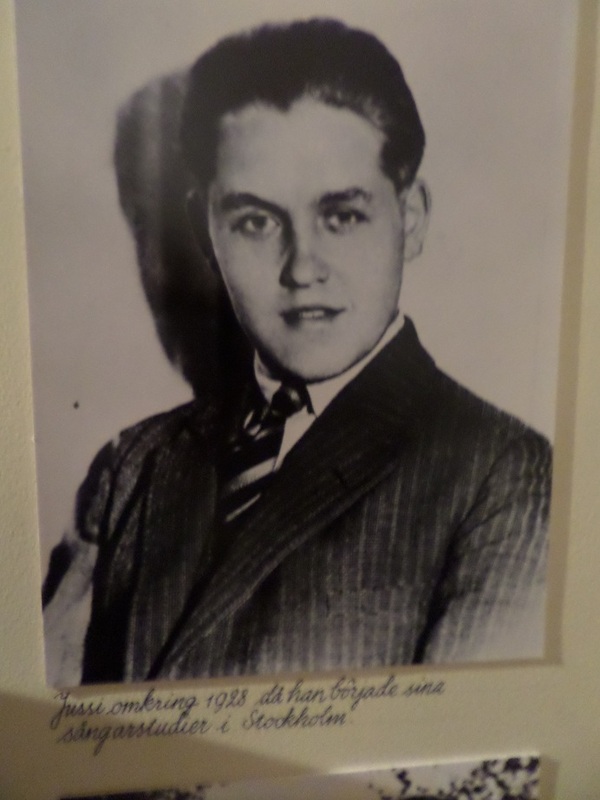 In a curious way Björling was conflated in my head with my father, as both died in 1960, both dying far too young. I was only five years old when my father died so I hope I can be excused for making a connection that isn’t logical, just the retrospective association of a young boy. 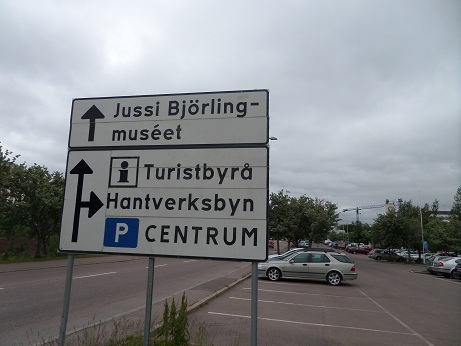 As I sat discussing possibilities –which sights and places to go see on the trip—I wondered aloud if there might be anything commemorating Björling, and was delighted to discover that in fact there’s a museum. While there are societies to keep his memory alive (one in the USA as well as the one in Sweden), a museum can take it a step further, assembling memorabilia. Although I saw it would be a two hour train-ride north, I couldn’t resist. The trip was quite pleasant. The trains –like every part of Swedish infrastructure it seems—are delightful. The new cars not only have wifi but display the time & their speed. I saw 166 km at one point, which is much faster than anything we’d get in Canada. The tracks feel smooth, without any of the unfortunate rocking motions I feel in Canada even at slower speeds. Upon arrival I was given directions to the museum when I asked; it’s a short walk in a charming little town. 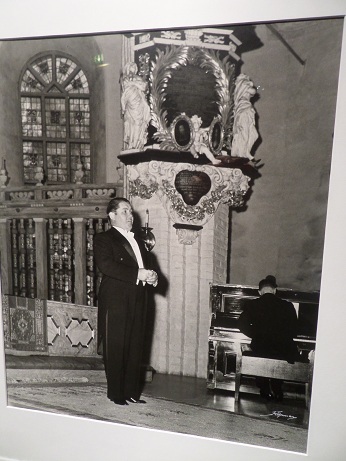 Yesterday when I entered the Museet I was greeted by Björling’s voice singing one of his signature tunes. I should have expected it, but even so, for a moment I was overwhelmed with emotion. There are several pieces that I associate directly with Björling. Most songs and arias are sung by every tenor in creation, good or bad. But there are a number of pieces that I swear nobody else sings. It’s not necessarily that the music is difficult, but these are tunes I have never heard anyone else sing. When I came in I heard him sing the song “skogen sover”, or “the forest sleeps”. Its Swedish lyricism suits the sweetness of his voice. And I heard him sing “Ah leve toi soleil” from Gounod’s Romeo et Juliette, something every tenor sings, although nobody with such ringing top notes. I can still recall the excitement when a new LP came home. My brother did the leg work, I was just the one at home jumping up and down, and then listening to Jussi Björling in Concert. Some of it is with orchestra, some with piano. This is the recording where he does his only version of Lohengrin’s narrative, where he sings Lensky’s aria, where he sings a number of wonderful Swedish songs including “Till havs” with orchestra. There are also others with piano, from a different recital in August 1960, just a few weeks before his death in September, including an encore where we hear him announce “<Devotion>” by Richard Strauss”. Was this the very last recording before he died? The voice was phenomenal even then. This version is from slightly before, in 1959. I’ve never heard anyone else sing “Till havs”, a song whose words I don’t know. But it’s a song about the sea as far as I know. You listen to it and tell me you can’t tell what it’s about. It may not be John Masefield, but so what. I posted a few of these on facebook when I knew where I was going earlier this week. At times I was surprised by my own emotions as I walked around looking at pictures and hearing the voice. We see him as a child with his family, discover his family tree, see his teacher, but mostly we’re immersed in the career. We see a wealth of photos from productions on either side of the Atlantic, often with familiar faces from the middle decades of the century (note: except for the last photo, all photos on this page were taken by me, sometimes through glass–photos of photos– which explains why they sometimes look odd. Please feel free to use as you wish). There’s also a library and a video room. I was surprised to see video of his state funeral, overcome with emotion for a moment when I realized I’d been too young to see my own father’s funeral, so I watched that segment twice. There’s a small map if one wants to walk or drive to his grave-site but I chose not to. There’s art –several paintings and sculptures of a famous face who was a huge star in his time and is clearly not forgotten—as well as a plethora of cartoons & caricatures. And there’s an organization there, a friendly and welcoming group of people. I got a glimpse of how many recordings he’s made, how many more there are to hear. I encourage you to investigate if this intrigues or inspires you to want to know more. There’s a society in the USA, another in Sweden, and the museum itself. I am very glad I chose to visit. That’s funny about the COC production of Il Trovatore. It was actually going to be my first opera. My mother (who volunteered there) took me to a rehearsal and I got to hear the anvil chorus. But when I later saw a rehearsal of The Marriage of Figaro I decided that was the one I wanted to see. At that age, it wasn’t about the opera or the singers. It was that they were doing Figaro in English. Hi Bill, thanks for sharing that(!!). I can totally relate. Remember back then there were no surtitles. I knew the opera pretty much inside out by the time i was 11, having followed the libretto religiously as i listened. Much of the story went over my head of course. Anything in English would have been a better idea, even if –at that age– i was too much a slave to the LPs at home (that is, the standard rep operas) to understand. At 12 I saw LUCK OF GINGER COFFEY, an opera almost universally dismissed even though i found it very enjoyable: because it was (mostly) in English. I’m a member of the editorial committee of the member journal of The Jussi Björling Society in Sweden. 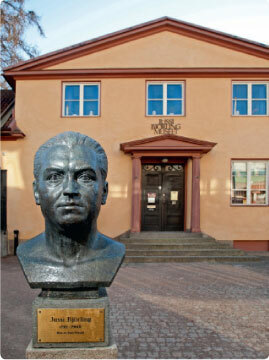 I found your article “Pilgrimage to Jussi Björling Museet” charming and interesting. I wonder if we can translate it and under your name publish it in our member journal (edition 800).